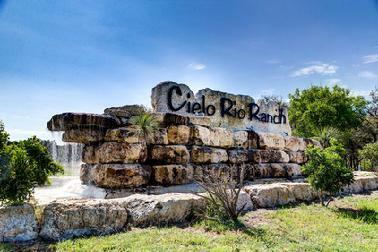 Cielo Rio Ranch is a masterfully planned residential development located in the Pipe Creek, Texas area. Pipe Creek is a bedroom community within a short 20-minute drive to the City of Boerne, but located in the Bandera County area. Giving the development a rural appeal and general appeal. After a period of rest, due to the downturn in the real estate marketplace in the 2008 period, the development has opened its doors to the public once again. Offering 2+ acre parcels with underground electic and community water, these attractive homesites are beckoning your custom home. These exclusive tracts are adorned with Majestic Oaks and plentiful grasses. Many of the tracts in Cielo Rio offer long-range views and shady backdrops. Not only does the property provide for spectacular building sites with pristine views, but some tracts back to greenbelts and rugged ridges. Unique aspects about the Cielo Rio Ranch, is the offering of viable restrictions, designed to retain value and appeal of the development. These limited reserve offerings, provide a property owner an entry into an elite development of 'Luxury' styled tracts, which are much closer and priced more affordably than heavily restricted 2-4 Acre developments through the Boerne area. This is the type of development that you are looking for to build your custom home in the Hill Country, without sacrificing the access to area amenities within a short drive. Take a look at the other developments in the Bandera and Boerne area and then come take a look at Cielo Rio Ranch. This is living like it was meant to be! Give us a call and we will meet you at the property or just hop in the car/truck and drive-out to pick the lot(s) that you like best. Gates are open weekends & holiday's from 8:30a.m. to 6:00p.m. If you arrive and the gates are closed, please give us a call at (830) 815-1000 and we will let you in for a look around. The Privilege Ranch Estates is a beautifully planned development that has quietly opened its doors to a Select few. With a total of twenty-two 5+ Acre tracts, the Owners have decided to combine some tracts for up to 31+ Acre Ownership. This Special Reserve is adorned with Majestic Oaks and plentiful grasses for horses or other livestock. Not only does the property provide for spectacular building sites with pristine views, but some tracts also has an existing Water Well, or an older shed/barn and even a former hunters cabin, which would make the perfect 'man-cave' or 'she-hut' with sprucing-up. This is certainly an exclusive offering and you will not find another like it in the Hill Country. What is so unique about the Privilege Ranch Estates, is the offering of limited restrictions, with a moderate few to keep with the appeal of the development. With such an early offering, it provides a property owner an entry into an elite development of 'Ranchette' styled tracts, which are much closer and priced more affordably than even heavily restricted 2-4 Acre developments through the Bandera area. This is the type of development that you are looking for to build your comfortable home, without being burdened by heavy Architectural Control issues, while providing you with some flexibility to enjoy the land before building permanent structures. 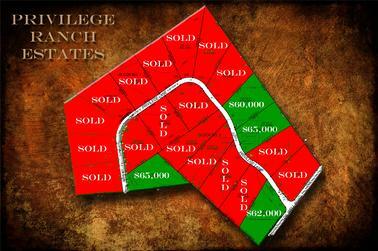 Take a look at the other developments in the Bandera area and then come take a look at Privilege Ranch Estates. We think you will find it 'Home' while offering everything you seek in an Estate Quality property. Give us a call and we will meet you at the property or just hop in the car/truck and drive-out to pick the remaining lot(s) that you like best, but don't delay as these tracts are almost all gone, due to favorable pricing. We are offering discounts on multiple lot purchases, which will keep the price per acre below much of the inventory in the Bandera marketplace. With only four (4) lots remaining, you need to come pick the one, which is exactly what you are looking for in a Hill Country property. 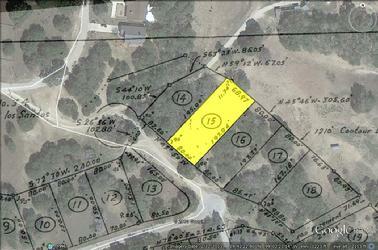 This is a mature-treed lot, located off of Creekwood Place, in the Flying L Ranch subdivision in Bandera, Texas. This lot was purchased by the Seller to construct their personal home; however, they decided to purchase an existing home to expedite their move to the area. 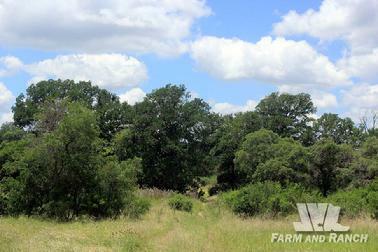 This property has numerous large Live-Oak trees as well as Persimmon and Spanish Oaks. The Seller purchased this property in excess of the current asking price and is looking to move this premier lot in a timely manner. Submit your offer to capture the beauty of the Flying L Ranch and be a property owner in one of the prettiest sections of this subdivision. This is a beautiful level lot located off of Deerwood Circle in the coveted Flying L Ranch subdivision in Bandera, Texas. This lot has been owned by the Seller since the early 1970's and she has decided to literally let the property go for close to what she paid for it back then. The Bandera County Appraisal District reflects an assessed value of this property in excess of $14,000, yet the Seller is asking far less than that amount for a quick sale. 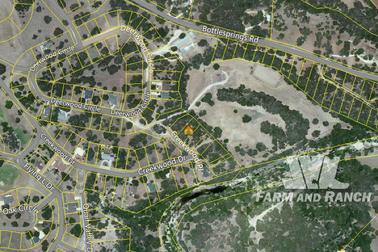 If you are looking for a good 'buildable' lot in the Flying L Ranch, don't miss taking a look at this one.